Nikki graduated from The Art Institute of California – San Diego with a Bachelor’s of Science in Interior Design. Before college had begun she took part in a summer internship at a firm in central Connecticut. This helped enhance her love for design and knew this was the right career path to take. While in school she also did two more internships, all three were with firms that specialized in different aspects of design; corporate, hospitality and residential. Nikki has also volunteered her time with Habitat for Humanity in San Diego. She has design experience in all aspects of healthcare, hospitality, higher education and specializes in retail. She thrives on collaboration and believes working as a team is very important. Her passion for the profession shows through her work and creative process, as she prides herself in delivering projects that exceed clients’ expectations. In addition to Nikki’s design experience, she has also assisted in bringing projects on board for PZD. Her diligence and eye for a company in need in accompaniment with what PZD offers, shows Nikki’s willingness to assist her company in all aspects. 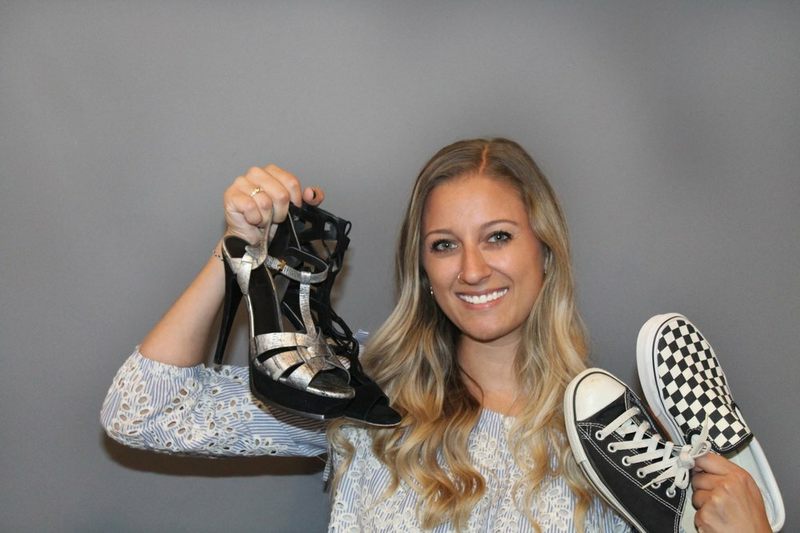 Nikki has worked with some great clients including, Footlocker, Kids Footlocker, Foot Action, Champs, Muse Paint bar, Norwalk Hospital and Danbury Hospital. If you could have dinner with one person, dead or alive who would it be with?